A progressive tenor saxophonist and composer, Igor’s music represents a unique fusion of jazz, funk, Eastern European rhythms, and modern neo-bop sketches. He has performed with jazz legends including Reggie Workman, John Abercrombie, Chico Hamilton, Sonny Simmons, Boris Kozlov, and Andy McKee. Born October 27, 1975, in Novo Mesto, Slovenia, Igor began his professional training at age 19 at the Bruckner Conservatory in Linz, Austria, where he studied with Doug Hammond and Harry Sokal. During this period, he was a member of Munich-based band Sidewinders, winner of the“Best Jazz Group of Germany” award. After completing his studies with honors, Igor was invited by one of the world’s finest bassists, Reggie Workman, to study at the New School University in New York City. He received a scholarship and moved to New York in fall 2000. In New York Igor trained with some of the world’s finest musicians�George Garzone, Reggie Workman, Buster Williams, Chico Hamilton, Billy Harper, and many others. In April 2002, Igor was selected for the New School All-Star Wayne Shorter Ensemble, which performed at the “Beacons In Jazz” award ceremony at the Supper club, where Mr. Shorter was honored. 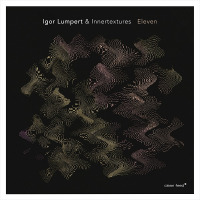 Igor’s band Innertextures represents Igor's passion for the music to journey to new and daring places. He is supported in this effort by bassist and drummer Tommy Crane. Intertextures�(shapes of our original self/being)�committing yourself to an act of effort and responsibility, to thank the Creator for his gifts and love by creating something unique and beautiful. Igor has released two CDs as a leader: “Innertextures” (2001) and “Mineral Mind” (2004). In addition to his work as a performer, he has an active career as an educator, having taught master classes and improvisation lessons throughout Europe and the United States. He has taught at the Jazzinty workshop in Novo Mesto, Slovenia, for the last six years. All About Jazz musician pages are maintained by musicians, publicists and trusted members like you. Interested? 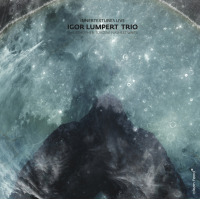 Tell us why you would like to improve the Igor Lumpert musician page.